Sending the kids off to school this morning, I noticed how cool the weather has become. In fact the temperature is supposed to keep dropping all day. Even though it is still August, and will undoubtedly become warm again, I can't help thinking that it will soon be fall. Usually when fall starts, people start talking about pumpkin spice everything. Don't get me wrong, I LOVE a good pumpkin spice treat, but today's recipe is what I think of when the fall season comes around. When I was little my grandma and mom used to make this spiced tea mix. I used to request it whenever it was chilly outside, or I had a cold, or I didn't feel good, or I just had a bad day. Now that I have a family of my own, I make it for my own kids, and I notice my little girl doing the same thing that I did, requesting it when it is cold, or she just doesn't feel good. There is something about this tea that just makes you feel better inside. It has been awhile since I have posted a #TBT picture of a family member. This is my grandma that we called "nan." 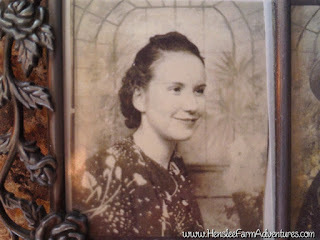 She was about 18 here which would have made it around 1937. She passed away a little over nine years ago. 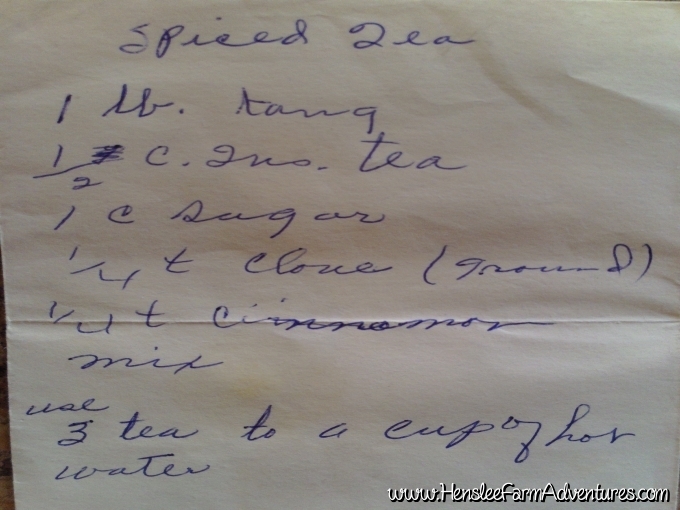 One of the things that I treasure is a copy of her spiced tea recipe in her handwriting. 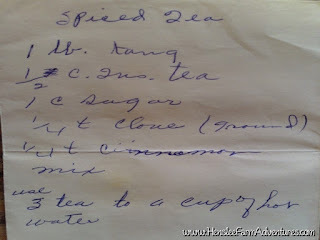 It is written on the back of an envelope, and when I asked my mom for the recipe, I didn't expect her to give me my grandma's handwritten one. You can see the recipe is very simple. 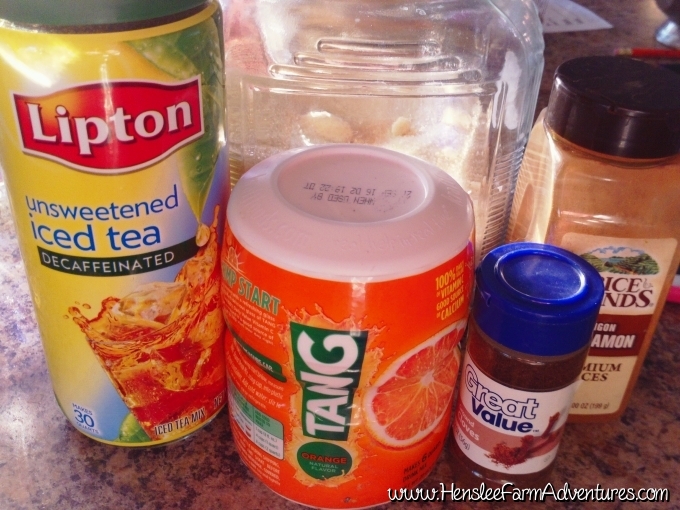 I have seen similar versions of this tea on the internet usually called "Friendship Tea" and it includes lemonade drink mix. However, our family never used that version. I hope you will try this and see how you like it. 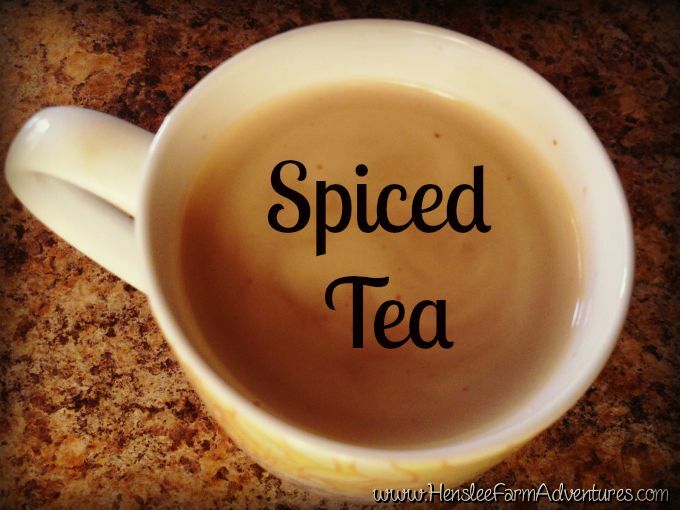 The recipe calls for a pound of Tang, a 1/2 cup of instant tea, a cup of sugar, 1/4 teaspoon of ground cloves, and a 1/4 teaspoon of cinnamon. Back in my days (as my grandma used to always say), Tang came in a pound jar which made it easy for this recipe. Now however it comes in a 1 pound 4 ounce container. But if you know your measurements, then you know that 4 ounces equals 1/2 cup. 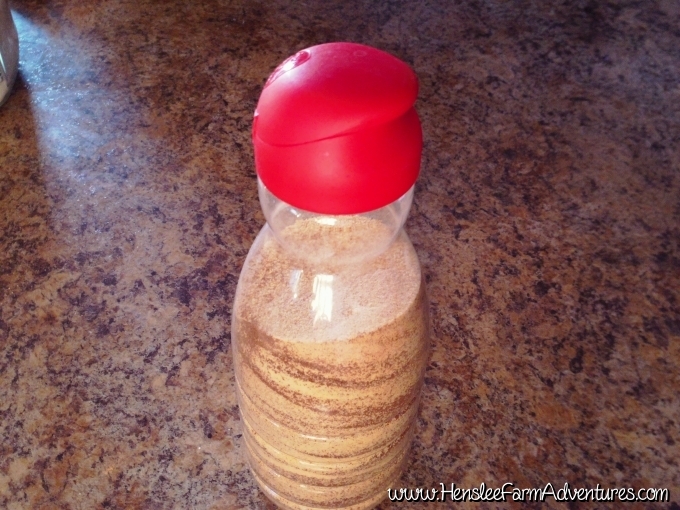 So just scoop out a 1/2 of cup and enjoy that with your breakfast. You might also notice that I purchased the decaffeinated version of the instant tea. This is totally your preference. I do that because my kids like to drink this tea, and I really don't want them having a lot of caffeine. 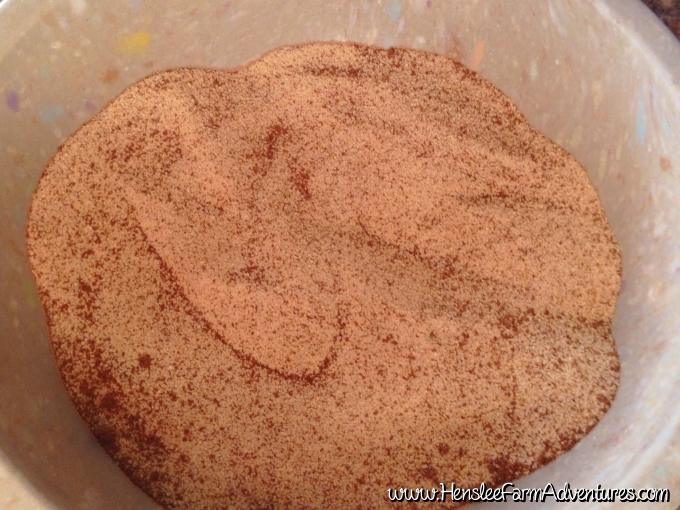 Once you have all your ingredients, just pour them all in a mixing bowl. All mixed and ready to go! I know this sounds crazy, but I think it looks so pretty! I normally put the mixture back in the Tang container, but I thought I would show you how I package it up to give to people for gifts. 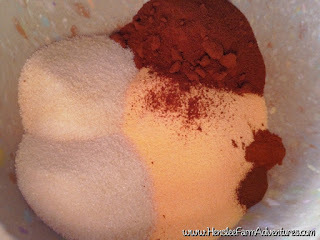 After it is all mixed, I use 3 spoonfuls to a mug of hot water. You can add more or less to your liking. 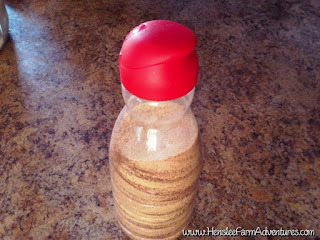 If you would like a printable version of this recipe, then click HERE. Throw Back Thursday: Embracing the "Lasts"